Thunder-Sky, Inc.: Infra-mation about "Infrastructure," Opening January 6, 2012 at Thunder-Sky, Inc.
Infra-mation about "Infrastructure," Opening January 6, 2012 at Thunder-Sky, Inc.
"Infrastructure: Abstractions by Alex Bartenberger, Evan Hildebrandt, Chad Rasmussen and Michael Weber." 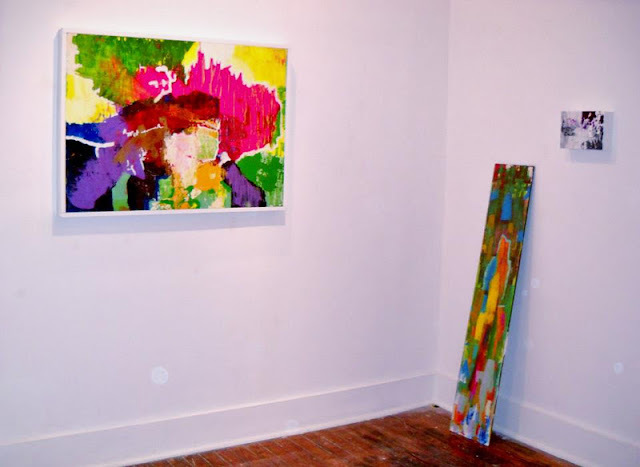 Opening reception January 6, 2012, 6 to 10 pm. Closing reception February 11, 2012, 6 to 10 pm. "Infrastructure" is defined as "the most basic level of organizational structure in a complex body or system that serves as a foundation for the rest." The four artists in this exhibit foreground basic aesthetic structures and systems and transform them into the actual finished product. Their spare, color-rich paintings symbolize both obsession and resolution. Raymond Thunder-Sky's drawings often fetishize the "infrastructures" of buildings, streets, and even social systems. In a portfolio of prints created exclusively for "Infrastructure," we'll be "abstracting" from some of Thunder-Sky's most elemental drawings, allowing a new way to approach and examine his work not as representations but as preoccupations with what's underneath both reality and the way we perceive it. Alex Bartenberger: Alex Bartenberger is an artist from Cincinnati, Ohio. His chosen medium is oil on canvas, and his canvases are usually large in scope. 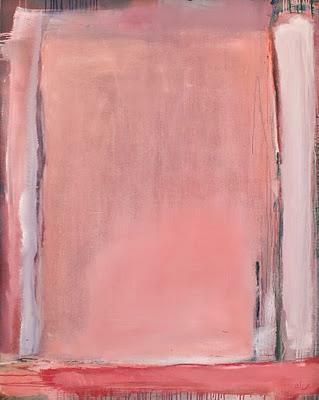 Rich and vivid, his paintings have a vastness and grace to them reminiscent of Abstract Expressionism. More information: www.alexbartenberger.com. 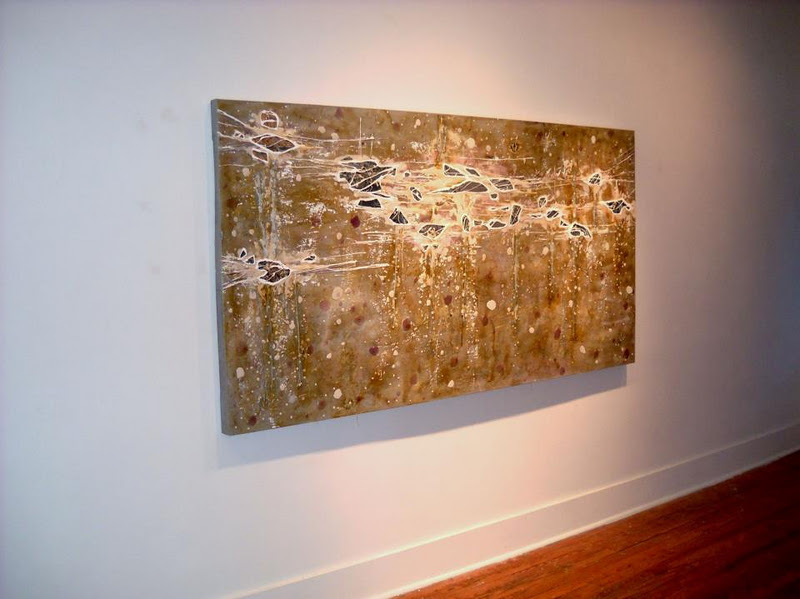 Evan Hildebrandt: Evan Hildebrandt started making art in 2003 while working for a top car company in Northern Kentucky. He started drawing with sharpie markers and soon amassed several dozen drawings. He continued to draw and started to explore oil paint and other artistic mediums. Over the course of several years, Evans prolific nature and hard work paid off and he began to sell his artwork. After seven years of working at a “normal job,” Evan felt it was time to take the plunge and become a full time artist. He quit his job and jumped with both feet into the art world. Art became more than just a hobby for Evan and he soon became sought after by many high end clients and designers. Evan’s art has been on display and sold at Voltage furniture, Cincinnati’s music hall, Switch lighting, The Ascent, and Jose Garcia’s development at 2801 Erie Ave. Evan is currently the gallery director at Bromwell's Art Gallery, downtown Cincinnati. Chad Rasmussen: Chad Rasmussen attended the University of Michigan as a double business major and later returned to minor in theatre and dance; he also attended the University of Hofstra in Long Island for art therapy and the University of South Florida in Tampa for fine art. Chad has exhibited his work in L.A. where he was born, New York City, Tampa and many parts throughout the Midwest; as well as internationally in Copenhagen. Chad currently lives in Cincinnati, OH where he lived a large part of his life; he also belongs to an international group of artists known as the Emotionalists who exhibit their passionate works together throughout the world. His personal philosophy on art: "Art is what you make it.” Chad recently teaches at Evergreen/Wellsprings Retirement Community ever since August 2009 and just started teaching acrylic painting at Michaels in Westchester. He uses his skills as an art therapist and artist for both forums; "Art is therapeutic as is all forms of learning; I'm just especially fortunate to be able to specialize in a form of learning that has the potentiality to include anything and everything that is possible! It is also a form of communication, in which it has the absolute power to bridge the gaps of every type of language. 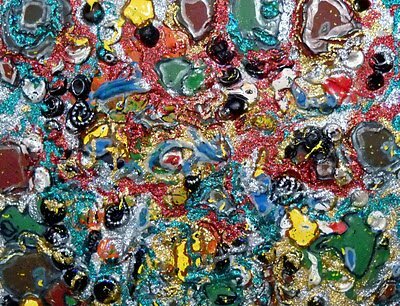 Michael Weber: Michael Weber is an Artist in Residence at Thunder-Sky, Inc. His main artistic focus is experimenting with what materials and media can do, including paint, found objects, and wood. He produces sophisticatedly simple works that have a complex spirit and an innate sense of order and splendor.